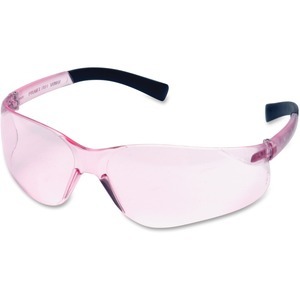 Safety eyewear features a sleek, frameless design to encourage use at the work site. Economical, wraparound lens provides a full panoramic view without limiting visibility. Integrated nosepiece sits comfortably on your face. Soft, nonslip rubber temple tips provide a nonbinding fit.